SAN FRANCISCO, December 17, 2013: Farella Braun + Martel LLP is proud to announce that Partner and Intellectual Property Litigation Department Chair Stephanie Skaff has been installed as the 2014 president of the Bar Association of San Francisco (BASF). Becoming the organization’s 101st President, Skaff gave her inaugural address at BASF’s annual membership luncheon today. She follows in the footsteps of firm Founding Partner Frank Farella (1978) and Partner Doug Young (2001) as president of BASF. In her induction speech, Skaff announced BASF’s new “It Starts With A Day” volunteer initiative. The initiative’s goal is to make it easy for every single bar member to engage with BASF, the community and each other during five “It Starts With A Day” events. An additional focus of Skaff’s presidency will be on the needs of veterans. Rolling out in 2014 will be a new program of legal services for veterans called “Service for Service.” Along with an “It Starts With A Day” event focused on veterans, BASF will also partner with San Francisco Veteran’s Court and the federal Veteran’s Administration to sponsor a half-day summit to work on solutions for the difficult problems facing our returning service members. 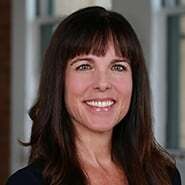 In her practice, Skaff represents companies and individuals in complex disputes involving intellectual property, technology, privacy and licensing issues. She is a Certified Information Privacy Professional (CIPP/U). In addition to her many leadership roles with BASF, Skaff is a founding member of the Resource Board of the National Association of Women Judges and a former barrister and associate in the Edward J. McFetridge Inn of Court. She serves as a lawyer representative to the United States District Court, Northern District of California. Skaff has received many awards for her achievements and contributions to the legal industry. She was recognized by The Recorder as one of 2013’s 50 “Women Leaders in Tech Law” in California and 2012’s “Women Leaders in Law” in California. In 2006, she was chosen by the Daily Journal as one of California’s “Top 20 Lawyers Under 40” and she has been repeatedly listed among Northern California Super Lawyers. Skaff earned her J.D. from the University of California, Boalt Hall School of Law, Order of the Coif, (1995).